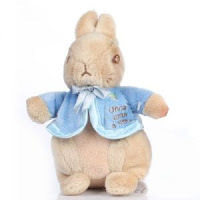 Beatrix Potter was a renowned Children’s author, she died in 1943 aged 77 but her stories are still very popular to this day, the most well known of them being Peter Rabbit, the cute little bunny rabbit with a blue cardigan. Beatrix found her love for nature and the countryside from going on yearly trips to the Lake District and to Scotland with her family. Beatrix had her own friends, usually ones that she painted and wrote about, she got her love from nature from her parents. As Beatrix got older she wanted to publish her books, she did one book privately but a year later she went to Warne publishing and got her book published “The Tale of Peter Rabbit” it became such a success that soon after she was publishing loads more books like Jemima Puddle duck and Tom Kitten. In the end she ended up publishing 23 books over the years! Her and her publisher Norman Warne became very close whilst they were publishing her books, they were due to be married much to her parents disapproval, but whilst she was on her annual holiday away with her parents he took ill and died shortly after of leukemia. “Hill Top Farm” she had enough money to buy it from her books and a legacy from her Aunt. She loved living in the countryside but she didn’t like the idea of buildings being built around her farm, she believed it should be left like nature intended it to be. When developers were going to buy the land she decided to buy it instead to keep it as lovely countryside. Whilst she was buying all her farm she met William Heelis, who was a solicitor but she also knew him from her childhood, he used to look at all her paintings of her little friends. A romance happened between the pair and at the age of 47 she married William Heelis. When Beatrix Potter died at the age of 77 she left all of her farm and land to the National Trust. The National Trust lets people look around “Hill Top Farm”. It has become a major tourist attraction in the Lake District. Peter Rabbit is Beatrix Potter’s most famous story, it’s about a little rabbit that sneaks into a garden that he isn’t allowed in too and he eats loads of vegetables. Unfortunately Mr Gregger spots him, so Peter runs for his life! But fortunately for us Peter made his way into our Toy shop. Peter Rabbit has a permanent residence here now, he can’t wait to be taken home by a special little boy or girl. But keep your eye on him as he loves running through the gardens to get his carrots. You will also find Jemima puddle duck swimming around the shop, but be careful she is a cheeky little duck! If you’re an older person who is a fan of Beatrix Potter’s stories you can pick up a cute little notebook, that looks just like Beatrix Potter’s books but instead you can write your own notes. You can pick from a wide range of characters on the covers.